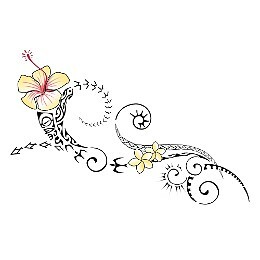 Anne loves Hawaiian islands and their culture and she requested a tattoo to embody this love and respect she feels. It was designed for the left arm as it is closer to the heart and more related to feelings, with a wavy flow to recall the waves. A for "ala" (watchfulness): we used a tiki for protection and to be a guardian. The stylized lizard right behind it serves to allow communication to the gods to receive their teachings. O for "oia´i´o" (honesty, trustfullness): the sun, which represents positiveness and playfulness too; the rays are made of mountains as they are a symbol of stability. A for "ahonui" (patience, perseverance): the two lower opposing swirls stylize the hammerhead shark motif representing tenacity and determination. 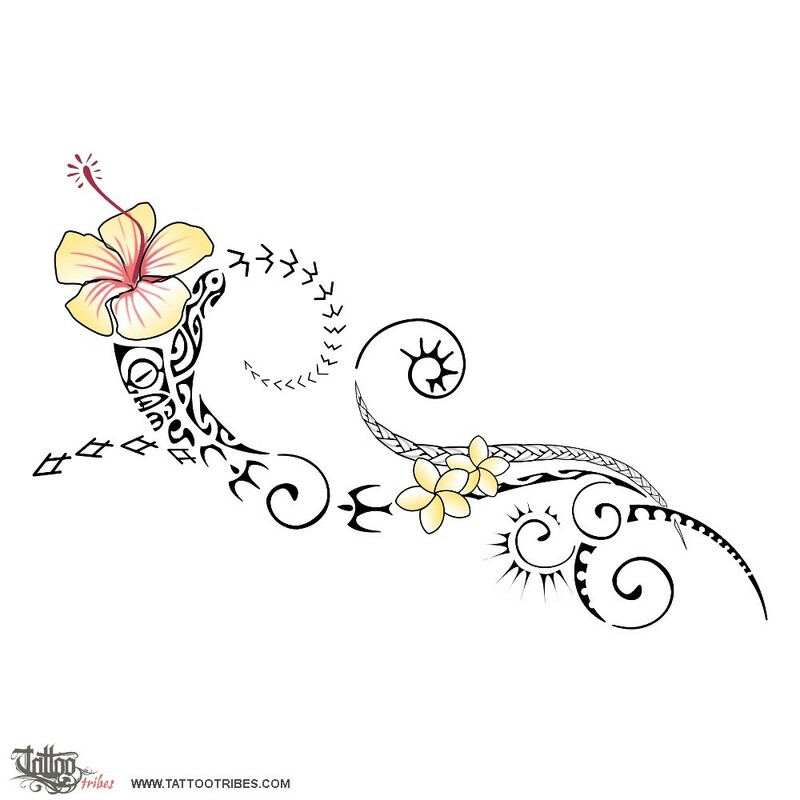 The frangipani flowers are symbols of beauty, safety and femininity and the flower of hibiscus represents beauty, femininity and the "island vibe", the laid back way of living that tells us to enjoy life every moment, without hurrying. The three korus at the base (life) represent the three men of her life, her husband and sons, and the braid for family starts from them to create the sea shell (love and safe shelter).